The single most effective thing you can do in an interview is to make your experience come alive through stories or examples. 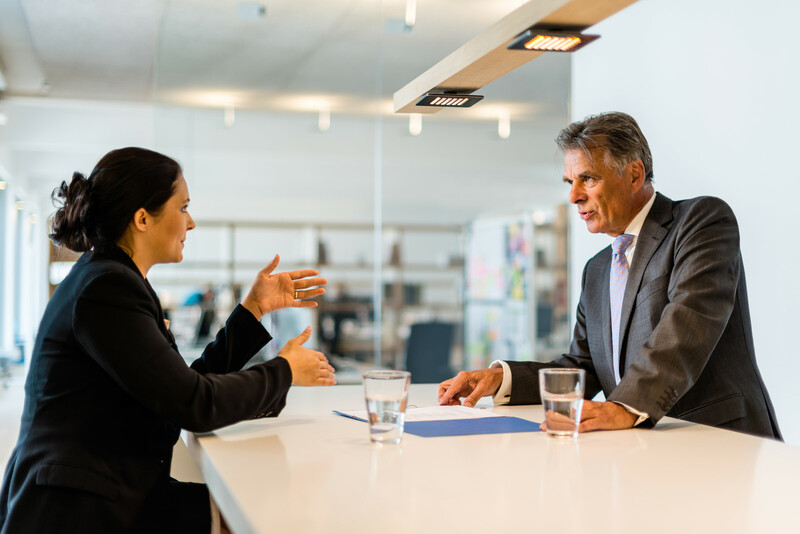 Yes, you need to get other things right in an interview as well: ask the right questions, prep for handling issues with your candidacy, follow-up effectively and so forth. But telling a good story is the most powerful way to stand out from the competition, since our brains are wired to remember the imagery, the drama, and the emotion that’s conveyed in a good story. Think of your story as a picture painted with words. Use it to describe either a) how you would tackle a problem your prospective employer is facing, or b) how you previously helped another employer with similar problems. Since in most interview situations you just don’t have enough information to effectively illustrate what exactly you would do in the prospective new role, we’ll focus on the latter case, sharing an example of how you helped another employer. Follow the guidelines below, and then make it your mission to get at least one of your success stories heard in your next interview! To tell a story well, you need to practice it over and over. If you’re trying to memorize a dozen or more stories, you won’t have time to properly prepare and rehearse the individual examples. Plus, you don’t need more than three stories; three (and sometimes just two) is enough to demonstrate both a track record and versatility. Keep in mind that just one story can be used to answer multiple questions. For example, one of my clients used the same story about how he landed a new account in answer to the questions a) what’s your greatest strength, b) give me an example of one of your work achievements, and c) how did you handle a difficult employee. He just told the same story from different perspectives. The Problem, or obstacle you had to overcome, is part of any great story. They are also hiring you to solve problems, so you want to demonstrate problem-solving ability. The Action, i.e. how your brain works in addressing problems. Sharing this element enables the interviewer to envision what it would be like to work with you. The Result demonstrates your value to an organization. Think about stories you’ve heard that have been memorable. In describing why they were memorable, you might use words like “important,” “dramatic,” “engaging,” “fascinating,” “emotional.” Ideally you want interviewers to describe your stories the same way. You can fit a lot of the drama in the “Problem” and the “Result” portions of your story. Don’t just say “One of our accounts was considered a retention risk, so here’s what I did to keep them.” Instead say “One of our key accounts was considered a retention risk. If they left, it would have cost us a quarter of our revenue and threatened our stock price! So there was a lot on the line. Here’s what I did to keep the account.” Go for the same high-impact message on the “Result” side as well. Don’t just say “So the account ended up staying with us.” Say what that meant to the company, and/or how you were recognized for this achievement. Let’s take a typical interview question- “What’s your greatest strength?” You could say, “My greatest strength is my ability to build productive relationships.” OK, well you’ve answered the question, so that’s good, and if they are looking for someone with strong relationship skills that’s also good. But the end-result is sort of blah because your answer just isn’t memorable. You’re not really differentiating yourself from your competitors. “My first thought was that I needed to understand what was going on. Was it the competition, the quality of the team, something else? Turns out that my reports in fact excelled in their jobs; their problem was that organizational support for sales generation was missing; they didn’t have the marketing materials they needed. They didn’t have the support from Finance to close deals quickly. And they didn’t have the IT infrastructure support so they could analyze the sales data and optimize their efforts. “Three months into my new role, I had turned internal adversaries into partners. Marketing was now working closely with my sales team to meet their specific needs. Finance set up a new approval process so that deal-making decisions could be made quickly, and with greater flexibility. And IT brought in a vendor to help us capture and analyze the sales data that would enable us to optimize our efforts. And equally as important, I got the best sales people on my team to defer leaving the company, because they could see the actions I was taking. In six months, the downward sales trend began to reverse itself, and within one year we were on to record revenues. Turnover of top sales talent fell to zero from around 50%, and we landed our three biggest clients ever. I was formally recognized for my work by the company president. Notice how at the end of the story Linda turned it back to them. She wanted to ensure that the story was relevant to them (“How can you help me?” is their number one question). When you tell your story, be prepared for lots of follow-up questions. Good interviewers will want to know what you enjoyed or did best, what motivated you, and so forth. If you keep your stories to roughly two minutes, you will avoid the most common issues, including too much detail (boring) and too little detail or too high level (not interesting). Also, make sure you don’t use “we” too much. “We” is good if used occasionally to show you’re collaborative. But ultimately the interviewer wants to understand what YOU did. So it’s great if you mention how you partnered with others (always desirable), but say it just once or twice, as in “I partnered with two of my colleagues in creating…” Then focus on your contribution.